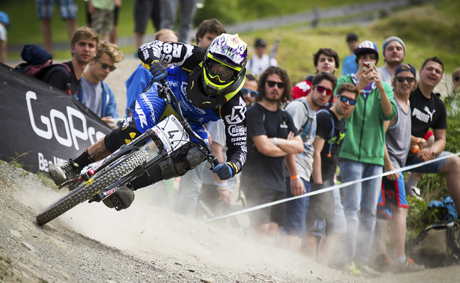 All the latest news to keep your adrenaline flowing and motivation going. We are always updating our site with the latest info so watch this space!! We all have to follow them and these ones are here for the best reasons! your well being and ours. See the list of rules by clicking the link below. You can see all the latest triumphs and spills on you tube! Wet your appetite for the great outdoors downhill biking scene in Ireland and maybe even learn a thing or two! From protective gear to proper techniques, we can offer a little advice from our more seasoned gravity addicts. Make the most out of your experiance by learning the essentials. Want something to dream about? Take a look at the Aladins cave of gear from our sponsors. These guys have all the right stuff at great prices and thanks to their ongoing sponsorship we get to play more too! So take a look at whats hot and whats new. There is always something to do! New tracks, new meets, new people and new feats! We will show you the when and where and you bring the energy and the gear! Round 2 Bree Entries Now Open. Online Entries close 10:00pm Wednesday 22nd May. 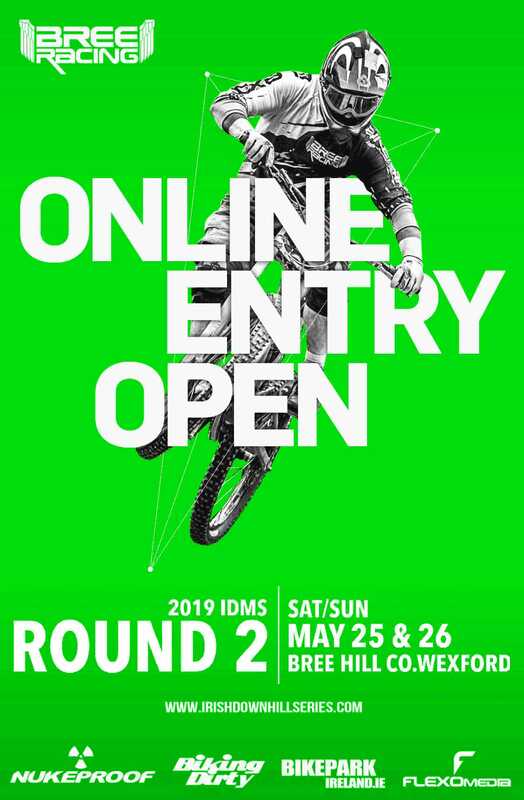 There will be 5 Rounds in 2019 – ALL to count towards the 2019 IDMS Overall Championship. Points will be awarded for the Seeding and Race runs using the standard BDS system. PLEASE NOTE : At the hosting club's discretion the above Fees are valid only for On-Line Registrations. This allows the hosting club to ensure that sufficient uplift, toilet and other facilities are put in place to cater for the registered entries. Entries after On-Line Registrations close, including on the day will be allowed however a surcharge of €25 may be required. It is therefore in everyone's interest to ensure that they register as early as possible. Depending on the availability of adequate parking/camping spaces, some venues may request the payment of a small fee to off-set the cost of rubbish skips and toilet facilities. €5 may be charged per vehicle for those parking for the day - this single charge will cover both the Saturday and Sunday. €10 may be charged per vehicle for those parking/camping overnight - this charge is NOT in addition to the day charge. 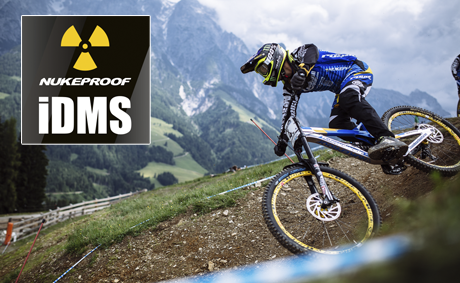 This category is continued for 2019 and is intended to bring new riders into DH racing who wish to ride these events without having to ride full-suspension DH bikes. It is a separate category and is not age- or gender-related since it is unclear at this stage what new entrants this will attract. Riders will use the same track as the DH riders, though, as is normal at DH events, ‘alternative’ lines will be provided where necessary and will be available for all categories. Naturally, these 'alternative lines' will always be slightly slower than the standard route. The same safety rules apply to ALL categories in respect of protective wear. Follow the 'Rules' link at the top of the page for further details. Riders entering this category cannot also ride in any other category. In the spirit of this new experimental Enduro category, only Enduro-style bikes will be permitted. Results for this category will be based on the combined time of the Seeding and Race runs. Riders who fail to complete the Seeding or Race run will not be included in the final category results. 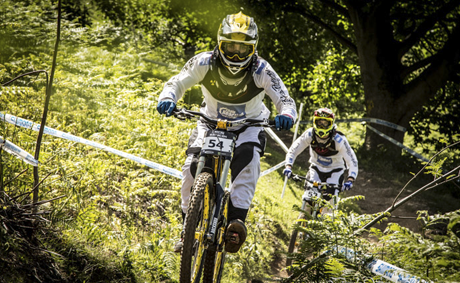 Unlike normal Enduro events, riders in this category are permitted to use the uplift service. Attention is drawn to the Cycling Ireland Technical Rules which state that "any bicycle used in competition must be capable of safely and efficiently completing the task and must, as a minimum, be mechanically sound, have efficient brakes on all wheels and all reasonable steps must be taken to ensure the safety of the rider and others. As part of the latter, bar plugs are compulsory"
This category is continued for 2019 and is intended as a trial to bring new riders into DH racing. 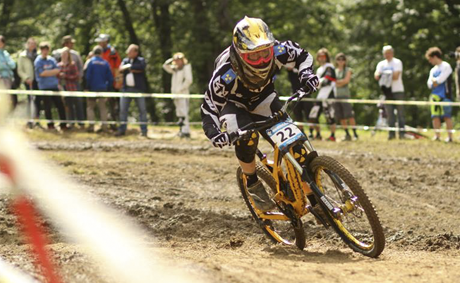 NOTIFICATION FOR SELECTION TO ATTEND TRAINING DAYS IN PREPARATION FOR 2019 DOWNHILL WORLD CUP AND WORLD CHAMPIONSHIP COMPETITIONS. The Cycling Ireland Off-road Commission is seeking expressions of interest from riders, male and female, in the Junior and Elite categories, who would like to, at their own expense, attend the training days at various locations around Ireland. 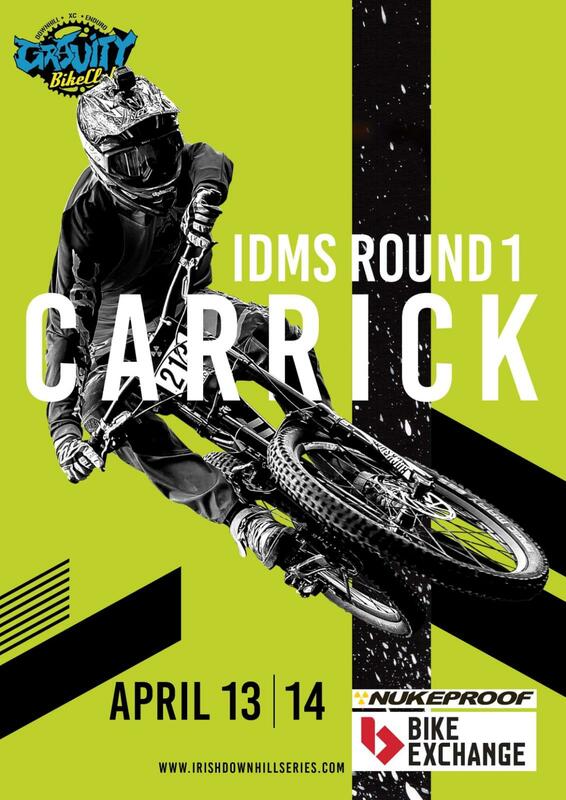 The main aim is to bring top Irish Riders together in a National Team environment and to promote team bonding, but also to form part of the selection process for the Irish Team for 2019 DH World Championships in Mont-Sainte-Anne in Canada 31st August – 1st September. Venues to be announced shortly and it is hoped to have the first Introductory Training Day take place before the end of 2018.